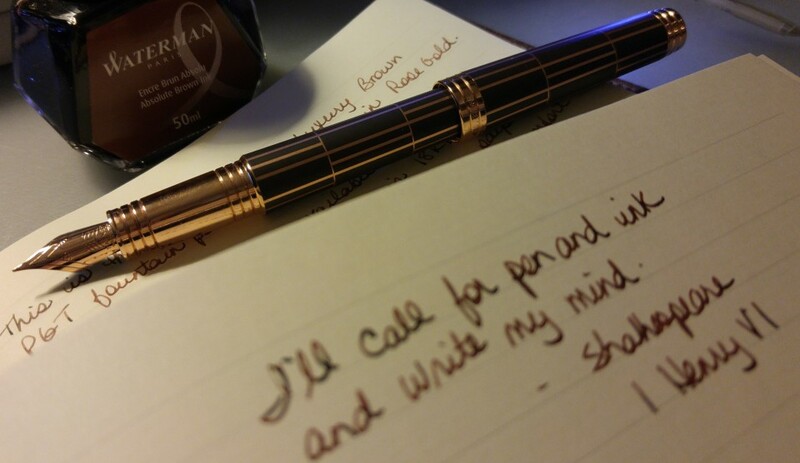 My latest package from Goulet Pens actually arrived some time ago and I’m finally getting around to writing about it. The opened package. Beautiful green ink for the personal note on the invoice. And a tootsie pop for Hallowe’en! 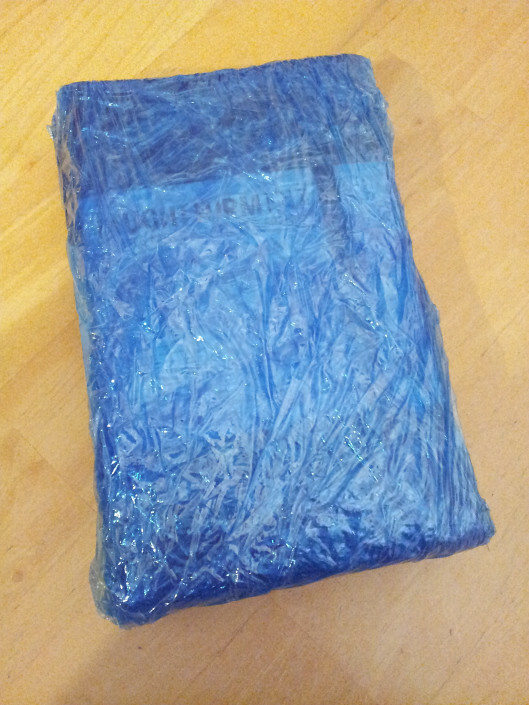 The notebook and pen loops are in the bubble wrap. 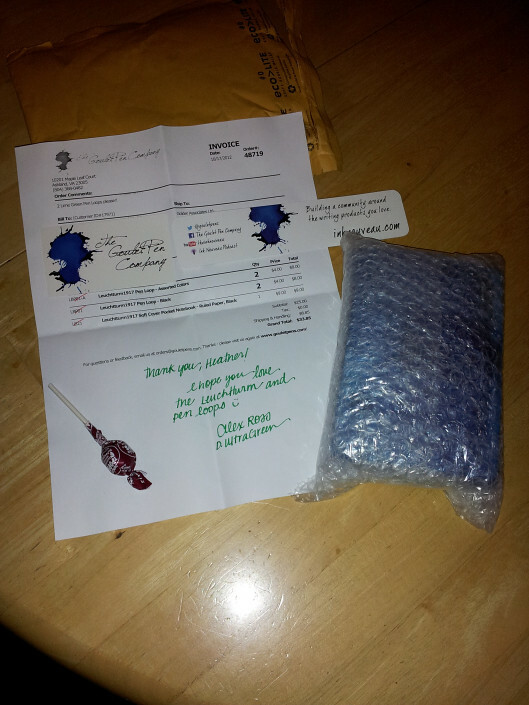 The blue plastic wrap Goulet uses underneath the bubble wrap. 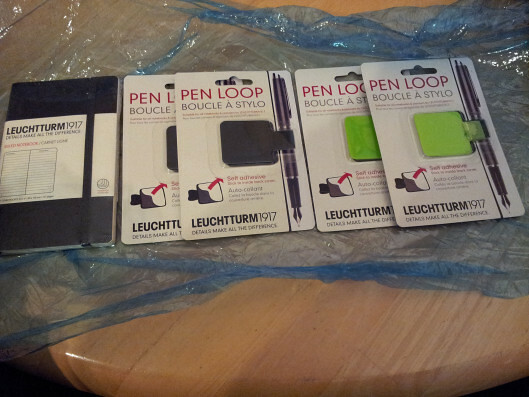 The notebook and pen loops unwrapped. I ordered two black loops and two lime green loops. 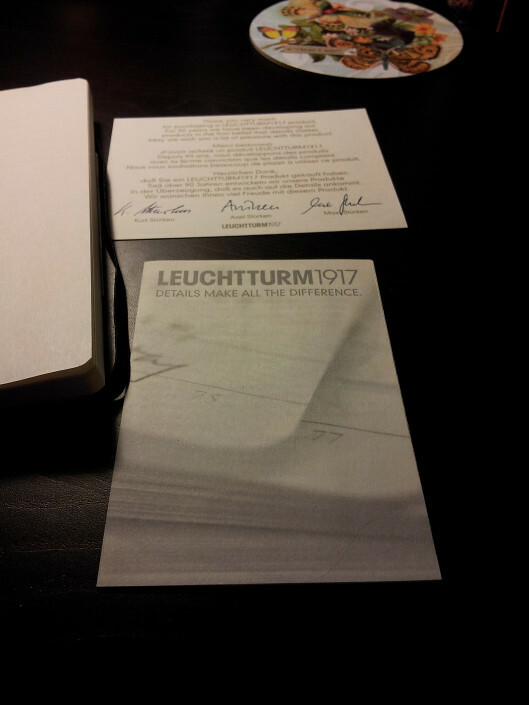 The Leuchtturm soft cover pocket notebook. A place for your name and address. 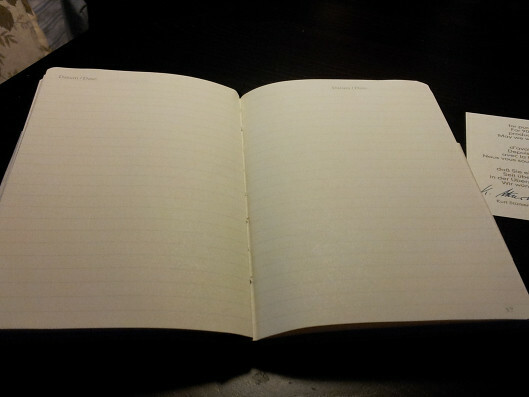 The pages. It lies flat beautifully. 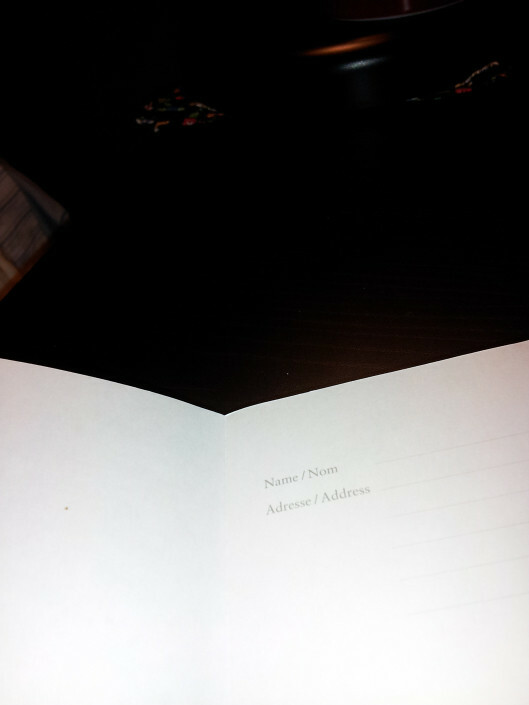 I couldn’t get a good picture of the Table of Contents but I am impressed with that feature. All in all I am thrilled with my purchase. 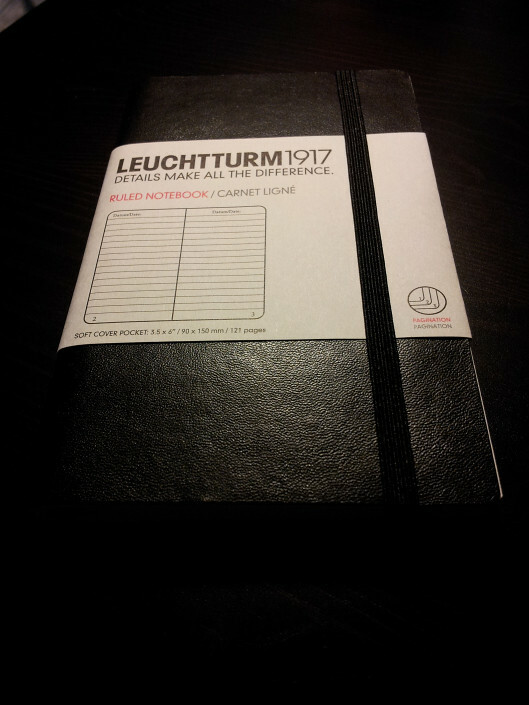 As always I highly recommend Goulet Pens as a retailer and I also recommend these notebooks as an alternative to Moleskines. Yeah that was totally unexpected but totally appreciated!